Perth, Western Australia is buzzing with excitement about hosting the Kodály National Conference in 2018. This is the first time this conference has been held in Western Australia and delegates from around the world with be treated with a different perspective of Australian music education culture. The conference is being held from Monday 1st October to Thursday 4thOctober in Perth, Western Australia, at the Presbyterian Ladies’ College (PLC Perth). The conference theme – New Horizons: Diverse Perspectives, Shared Journey – invites music educators and the broader community to reflect on new possibilities in Kodály-inspired research and practice. United by the principles of Kodály’s philosophy, delegates are invited to consider their diverse perspectives working in a range of music education contexts and the implications on our shared journey as we confront new horizons. The Western Australian Branch encouraged all KMEIA members, and the broader music education community to consider submitting an application to present an Elective Workshop, Paper, Posters at the 2018 Kodály National Conference. Full information is available on the Conference website. Three Keynote Presenters have been announced and it is truly and exciting and inspirational line-up. Dr. David Elliott is Professor of Music and Music Education and Director of Doctoral Studies in Music Education at New York University. 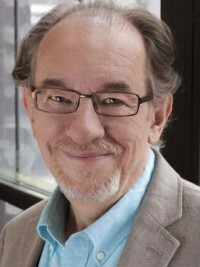 Prior to joining NYU in 2002, he was Professor and Director of Music Education for twenty-eight years at the University of Toronto. He has also held visiting professorships at Northwestern University, the University of North Texas, Indiana University, the Puerto Rico Conservatory of Music, the Irish World Academy of Music and Dance, and the Chinese Central Conservatory of Music (Beijing). He is co-author (with Marissa Silverman) of Music Matters: A Philosophy of Music Education, 2nd edition (2015); author of Music Matters: A New Philosophy of Music Education (1995); editor of Praxial Music Education: Reflections and Dialogues (2005); co-editor of Community Music Today (2013); and co-editor of Artistic Citizenship: Artistry, Social Responsibility, and Ethical Praxis (2016). He has also published 46 peer-reviewed journal articles and 37 peer-reviewed chapters in edited books, including: The Oxford Handbook of Philosophy in Music Education; The Oxford Handbook of Music Education; Music, Health, and Well-Being; The Oxford Handbook of Musical Identities; The Child as Musician; Giving Voice to Democracy in Music Education; Becoming Musical; and The Oxford Handbook of Community Music. Dr. Elliott has presented more than 300 conference keynote papers/invited university lectures in 47 countries, and he is an award-winning jazz trombonist and composer/arranger. Maree Hennessy is the Director of the Kodály Center at Holy Names University. Maree has recently relocated from Australia to Oakland, California, to oversee the renowned Masters in Music Education (Kodály) program at Holy Names. Maree has worked in music education across sectors and age groups, early childhood, school, university and community settings. She presents regularly in Australia and New Zealand. Maree has developed curriculum materials and resources designed to assist teachers in the implementation of effective music programs in schools. She enjoys working in mixed ability contexts when developing musicianship and has a particular interest in and commitment to teacher development. Her work explores how reflective practice and collaboration can contribute to professional growth. From 2010 she has lectured the Kodály Institute of the Liszt Ferenc Academy of Music. She regularly conducts post-graduate courses for Hungarian music teachers. From 2014 she teaches at the Kós Károly Általános Iskola that is part of the Mintaiskola project led by the Liszt Academy of Music. 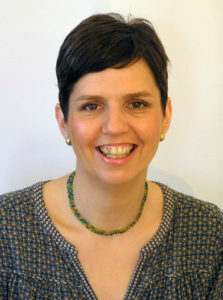 In this project she and her colleagues experiment new music methodological techniques based on the Kodály concept in order to refresh and renew the Hungarian music pedagogy, making it more adaptable to the 21st century classroom. The Western Australian Branch is also pleased to announce that a full Australian Kodály Certificate Course will operate alongside the Conference program. The AKC will be delivered as an 11 day program in two blocks. Delegates have the benefit of fulfilling their AKC assessment requirements whilst being able to concurrently engage in the broader Conference program. Presenter information and registration for the AKC will be available soon. Be sure to check out the conference website for more information on the Conference or the AKC. These are two events that are not to be missed!